>This is what greeted my husband tonight as he weedwacked in the front yard. 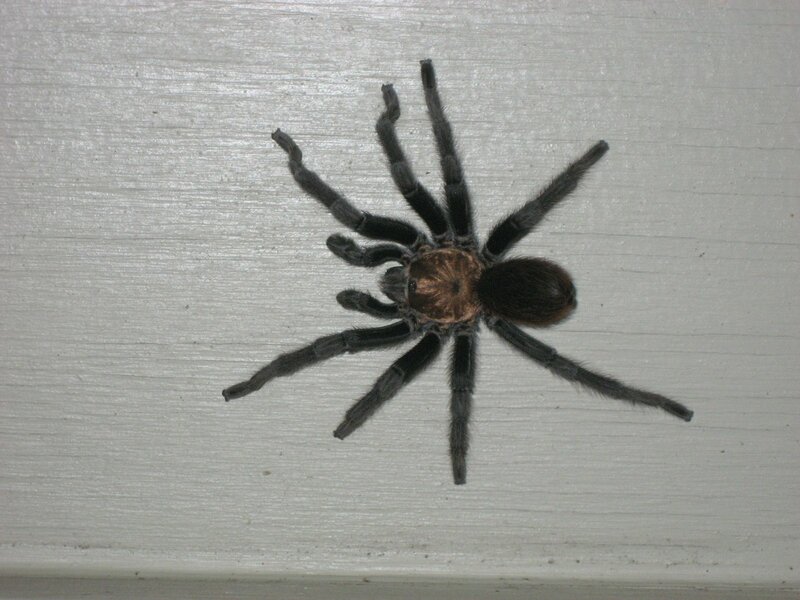 The spider was about 5 inches long, biggest one I have seen. And it sent shivers down ever one of my vertebrae. Anyway, veggie garden status: completely overgrown but I don’t have the heart to cut anything back since I feel it is the last breath of the warm weather veggies. Here are my tomatillas. They came in very late and see incredibly small, but since this is my first year, I don’t have anything to compare them to. If you look closely just right of center in the photo, you can see a little dragonfly buddy hanging out. 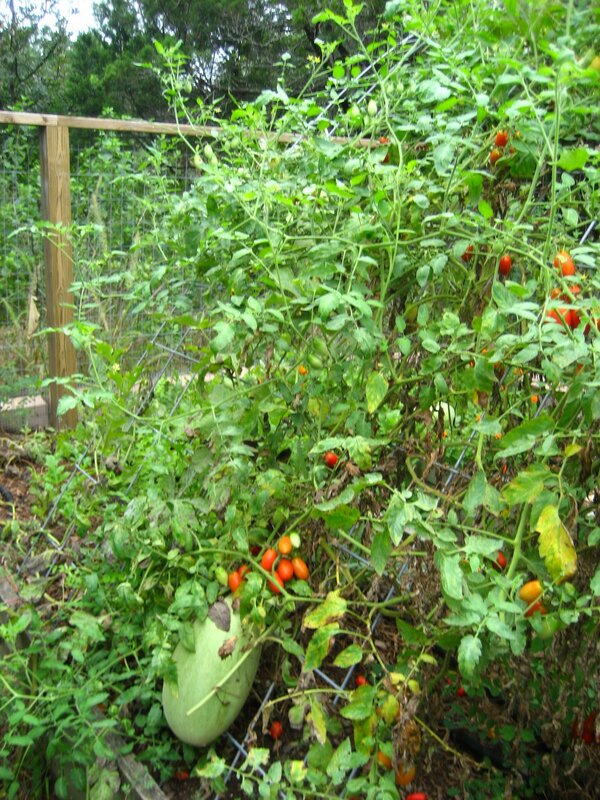 Here are some of my Juliet tomatoes intertwined with a watermelon vine growing up my archway. 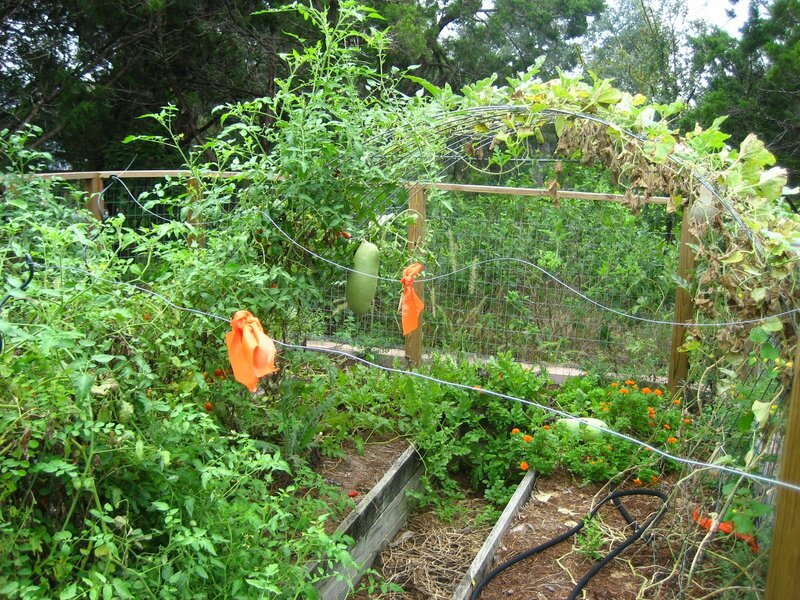 The watermelon is pantyhosed onto the trellis so as to take the wight, but keep it from rotting on the ground. Anybody know how to tell if a watermelon is ripe? The Juliets are very prolific and have been my mainstay all summer. I have Sweet 100s as well, but I sometimes don’t have the patience to pick the little buggers. 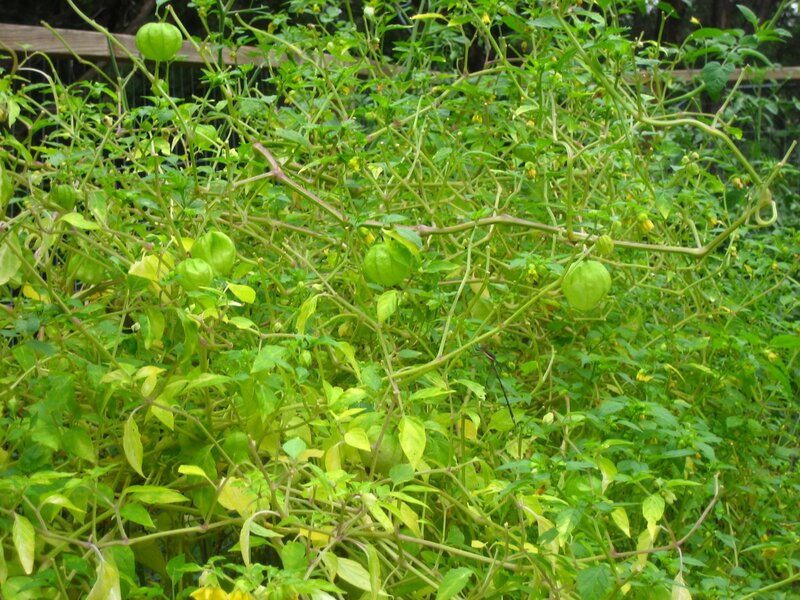 But it is great to have them for salads and Jack loves to pick them straight off the bush into his mouth. Here’s a view of the arch. The vine with all of the brown leaves is my cantaloupe vine which has seen spider mites attack and come through it and an accidental drought when a workman turned off the timed soaker hose by accident. This recent browning is probably another mite attack or a vine borer. Nevertheless, I am not fighting it, since the 3 melons I have harvested so far have been beautiful without any sweetness at all. Such a disappointment. And finally, such a gift following the rains. My sage burst into bloom. 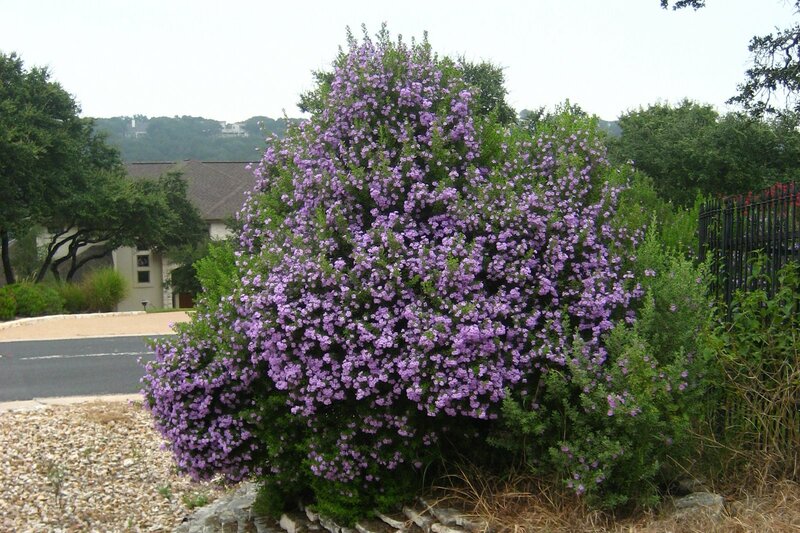 This prolific bloom often happens in spring and fall after a good rain. And I just love the violet flower color against the blue-green foliage.